Six drought-tolerant native trees and plants have been pre-approved by the County of San Diego for county right-of-way planting on Alpine Boulevard. 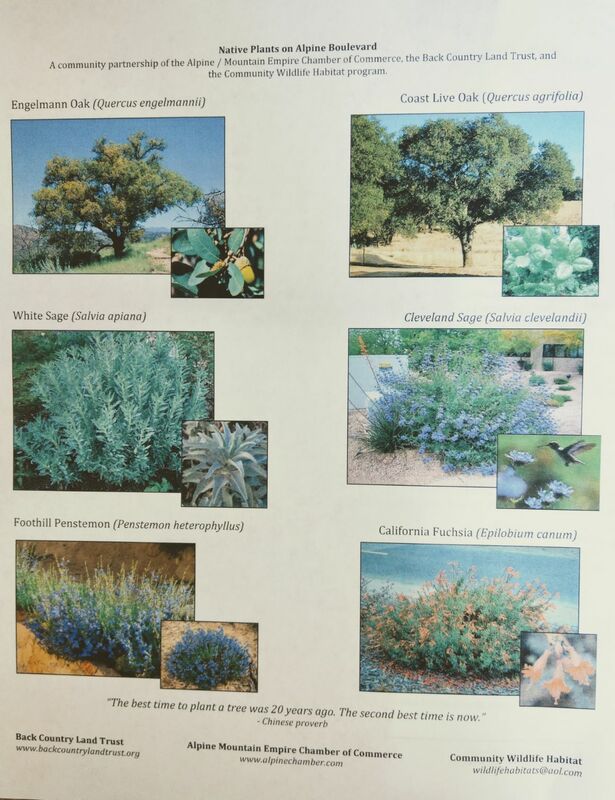 Two trees, the Engelmann Oak and the Coast Live Oak, and four plants ---- White Sage, Cleveland Sage, Foothill Penstemon, and California Fuchsia ---- are acceptable, according to Project Manager Michael Aguilar of the county’s Field Engineering/Road Maintenance. The plants are being donated by the Back Country Land Trust (BCLT) for the “I Love a Green Alpine” project to beautify the boulevard between Tavern Road into the 2500 block of Alpine Boulevard. “Each (planting) site on county property will still need to be approved on a case by case basis with a county tree permit,” said Jon Green, BCLT program and outreach director. The Alpine Community Wildlife Habitat Program will assist with planting and watering the plots. 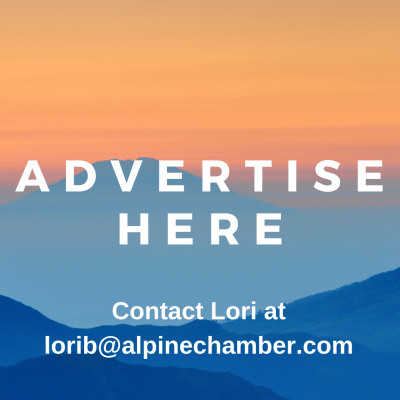 The Alpine Mountain Empire Chamber of Commerce is helping to get county permits for the boulevard planting project. More information will be available at two town hall meetings about the project on Wednesday, Oct. 10, at the Alpine Library, 1752 Alpine Blvd. Anyone can attend the meetings, scheduled from 12:30 -1:30 p.m. and 6-7 p.m. He said business owners and others have expressed interest in the “Adopt a Plot” part of the “I Love a Green Alpine” project. Green said the community needs to be involved in order for the project to succeed. Business sponsors and volunteers are being actively recruited, he said. “Only property owners can sign on officially to receive plants, but volunteers and sponsors can come from anywhere to help,” Green said. Property owners interested in landscaping can call Green at (619) 504-8181. Call the Chamber at (619) 445-2722 to volunteer or to get additional information.